A Utah man is trying to use his recognition as this year's national beekeeper of the year to focus attention on a major threat to the industry: colony collapse disorder. Darren Cox of Cache County, who has 5,000 hives in Utah, California and Wyoming, received the award from the American Honey Producers Association earlier this year. He said he is seeking solutions to stop colony collapse disorder, in which honey bees suddenly disappear or die. The disorder wipes out thousands of colonies each year and threatens the pollination of fruits, nuts and vegetables that people depend on to survive. The disorder is spreading nationwide, he said, and the die-off was 70 percent at his hives this past winter. 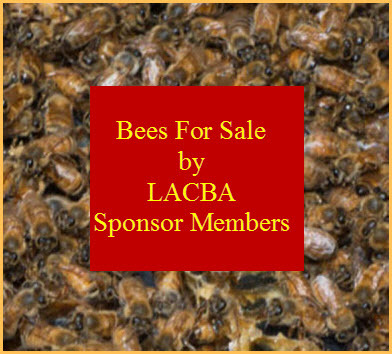 "This winter (we experienced) the largest die-off of bees ever in the history of the United States," the fourth-generation beekeeper told The Herald Journal of Logan. "We've had historic die-offs in the past, but we've never had a stress factor like this." Since it was recognized in 2006, colony collapse disorder has destroyed colonies at a rate of about 30 percent a year, according to the U.S. Department of Agriculture. Before that, losses were about 15 percent a year from pests and diseases. No one has determined its cause, but most researchers point to a combination of factors, including pesticide contamination, poor nutrition and bee diseases. To help prevent bee deaths, Cox urges farmers to spray crops with pesticides at night instead of daytime when bees are more active. 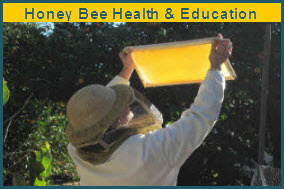 There are other things beekeepers can do to mitigate the problem, he added. "The first thing they can do is provide a habitat, make sure (there are) plenty of healthy, pollinator-friendly plants," Cox said. "Then they can make sure to use the best management practices possible, and make sure mites are kept in threshold limits." Cox's family started keeping bees in St. George in the late 1800s, and Cox Honey was incorporated as a family business in 1929. Cox took over operation of Cox Honey from his father, Duane Cox, in 2002. Darren Cox said he was honored to win the national award. "It was quite a surprise to be able to win it," he told the Deseret News. "Coming as a Utah boy from the Beehive State, it's pretty cool."